I must admit that these tasty little fruits of the sea came out a little crispier and a little darker than I intended. I blame it on a new oven fiasco. While the recipe says to broil on medium, today’s ovens usually offer just low and high broil settings. In the interest of time, I decided to use the high setting and promised myself I would watch them carefully. Unfortunately, I was using a brand new oven and the broil setting hadn’t yet been used. Not only did the oven omit a strong new oven/chemical smell on the high broil setting, the neighbors called security due to what they said smelled like “an electric fire. Somehow amongst the commotion of the multiple security guards and maintenance men entering our apartment to stare at inspect the new oven, one of whom felt the need to comment that he was looking at buying the same oven for his own apartment, I managed to broil these little guys without completely destroying them. I actually enjoyed the combination of the slightly crispier top with the soft filling. 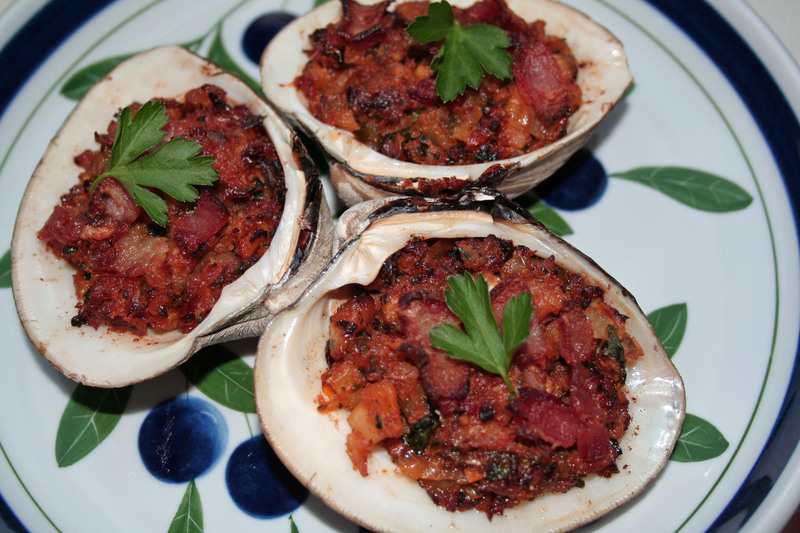 The small piece of bacon on top, while delicious (of course), almost overpowers the light fresh clam flavor and could be easily omitted. These little bursts of flavor are an excellent appetizer or light lunch (especially if your broiler works properly…). Scrub clams well to get any sand off shells. Place them in a large pot and add wine. 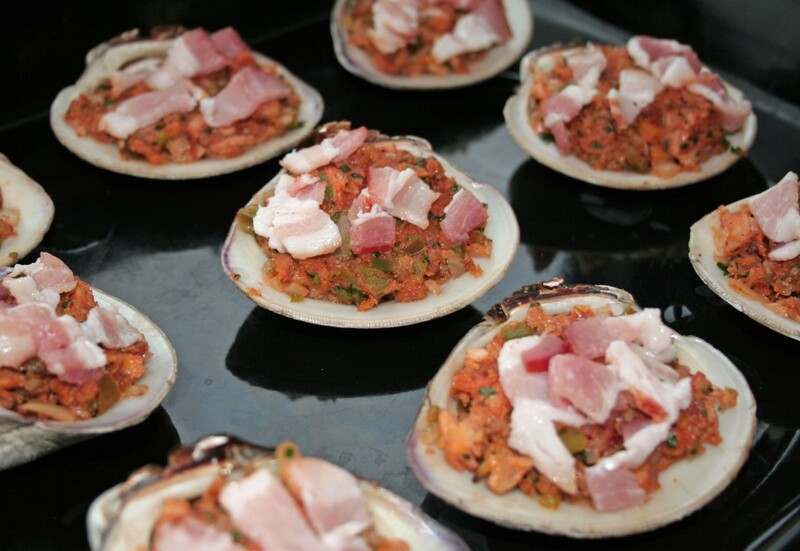 Cook, covered, over low heat, just until the clam shells open. Remove clams from pot and reserve half of each shell. 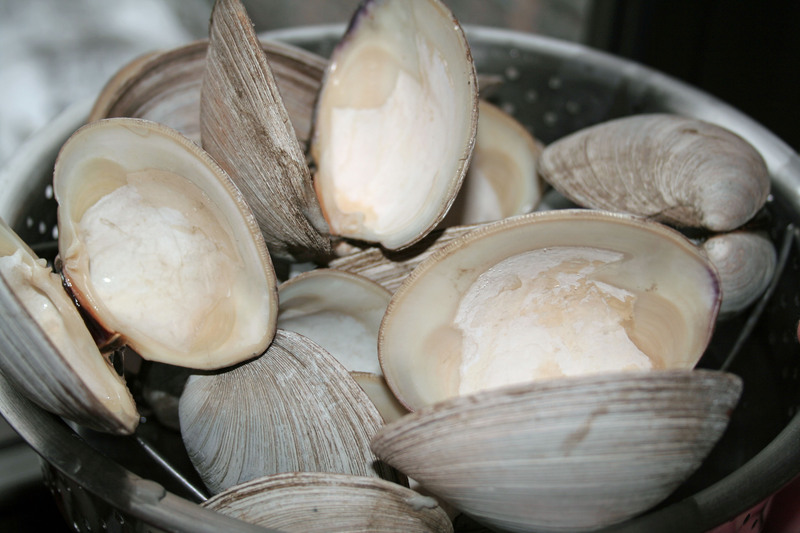 Remove clams from shells. 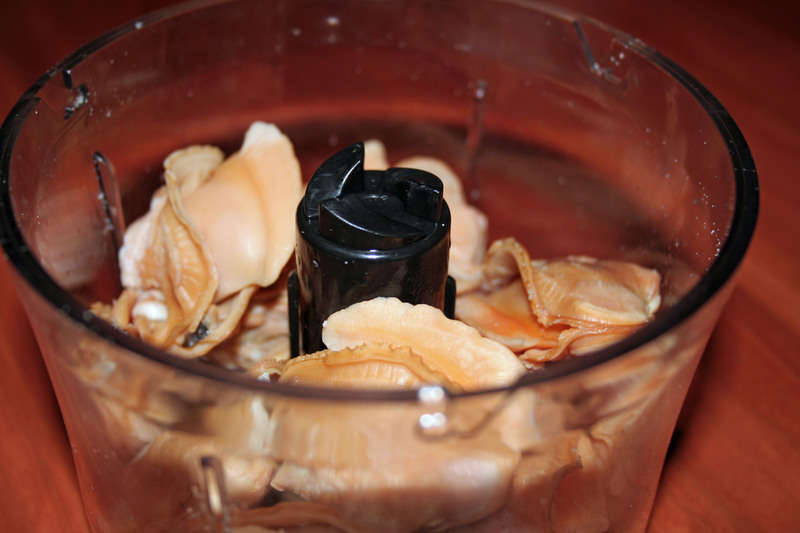 Grind clams in food processor. Melt butter in skillet. Saute green pepper, onion, and garlic till soft and golden. Add chopped parsley and bread crumbs. Stir in tomato paste. Season well with salt, pepper, and cayenne pepper. Remove from heat and add clams. Fill reserved clam shells with this mixture. Sprinkle tops with chopped bacon (if using) and place on broiling pan. Brown under low broil (or high broil if watched carefully) until bacon is crisp. From “The Art of Good Cooking” by Paula Peck. Adapted by Megan Peck. Commotion worthy dish. Deliciously waiting to be eaten =) Yum!